Super sharp, finished in anti-corrosive black nickel. The special reversed point and limerick bend make this hook perfect for presenting peeler crabs and sand eel whilst keeping the point clear for maximum hook-ups. Sakuma Offset Manta Super sharp, finished in anti-corrosive black nickel. The special reversed point and limerick bend make this hook perfect for presenting peeler crabs and sand eel whilst keeping the point clear for maximum hook-ups. 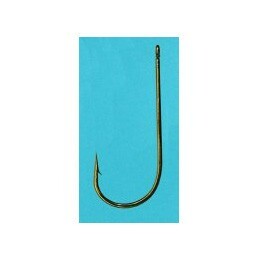 FREE Delivery on all Sakuma Sea Fishing Hooks over £100!! !